Your septic system collects the waste water from your residential or commercial property and processes it through a system of tanks and a leach field. Keeping your septic system in working order is extremely important. 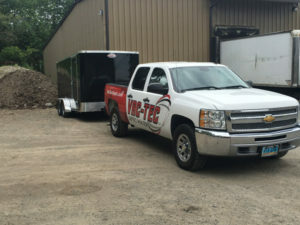 Let us handle all your septic tank pumping needs so your tank remains as efficient as possible. 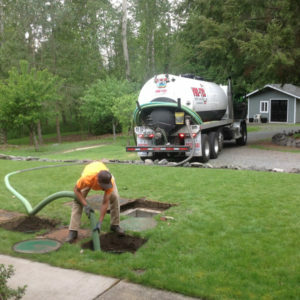 We are your go-to place to call when you need septic tank pumping in Kirkland, WA. Are there foul smells coming from your septic tank? Has it been a while since you cleaned your septic tanks? Are your toilets and drains taking a long time to empty? If yes, then it is time to call septic tank cleaning experts. Your septic system is far too important to leave in the hands of a non-professional. 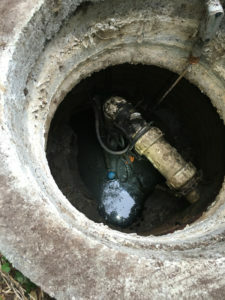 There are many risks associated with improperly maintained septic tanks. You need a reputable septic tank cleaning company with specialized equipment, knowledge, and expertise. That is where we come in. We utilize cutting-edge equipment and methods to perform septic tank cleaning in Kirkland and the surrounding areas. Each of our technicians is trained to the highest industry standards. Through our years of experience, attention to detail, and fast service, we have built a solid reputation as one of the leading septic tank cleaning companies. Why Should Kirkland Residents Choose Us for Septic Pumping? Routine septic pumping and cleaning can keep your septic system running like new. Whether it is a residential, commercial and municipal site that needs a septic system pumped we are able to handle it quickly. Whether your sewer system is backing up and you have an emergency, or you simply need regular septic pumping, our technicians are ready to get the job done. With us, you can be assured you are getting the best possible septic pumping service available in Kirkland area. For septic tank cleaning and pumping in Kirkland, feel free to call VAC-TEC LLC at Tacoma – (253) 777-4887 Seattle – (206) 339-0039 Olympia – (360) 338-6686 North Dakota – (701) 566-0045.